Recent geopolitical developments fueled by both regional conflicts and an increased state of political instability have highlighted serious gaps in both technical capabilities and acquisition policies within several large NATO members’ procurement agencies. If the telecom hardware procurement cycle is now 10 to 15 years, groups are planning from the start to purchase obsolete equipment. Consider the fact that, even before getting to tender, the industry needs as many as five years to design, test, validate, and certify products. Add those five years to the 10 to 15 year buying cycle and now you see that the hardware technology being purchased can be 15 to 20 years old. With today’s rapid pace of technological change, few electronic components are available for that length of time. This reality places significant pressure on securing a massive inventory and burdens most military budgets. The challenges the U.S. Army faces today are vastly different from those 20 years ago. The repercussions are obvious. If we cannot communicate, we do not know where to move and where to shoot, i.e. the chain of command is down. 1. Operation among populations within complex terrains including dense urban areas. This will force interoperability between Satcom terminals, with different access schemes, hand held radios, WiFi and Cellular networks. IoT (Internet of Things) is now part of modern warfare. SATCOM terminals will need to move further from just a standard data access pipe to an integrated intelligent wireless platform. We need the best technology with the highest reliability, for example Satcom GaN technology. It is obvious today that the Army data throughput requirements are marginally met. The need for dynamic symmetric/asymmetric type of networks, at very high data rates, are a veritable challenge for VSAT TDMA networks. Simple GPS jamming with low cost off the shelf hardware, has exposed the vulnerabilities in SATCOM Networks, artillery firing and drone flight control. The ability to change traffic profile on the spot and find alternative secure ways of communication is needed. A communication node needs to be autonomous not only in terms of energy, but also in terms of traffic security, spectral monitoring, terrain monitoring, geolocation and access to wireless complementary technology. A communication node should allow convergence of multiple sensors and radios on the same data backbone. A careful review of all these requirements, will clearly position the SATCOM technology at the heart of any modern tactical network. 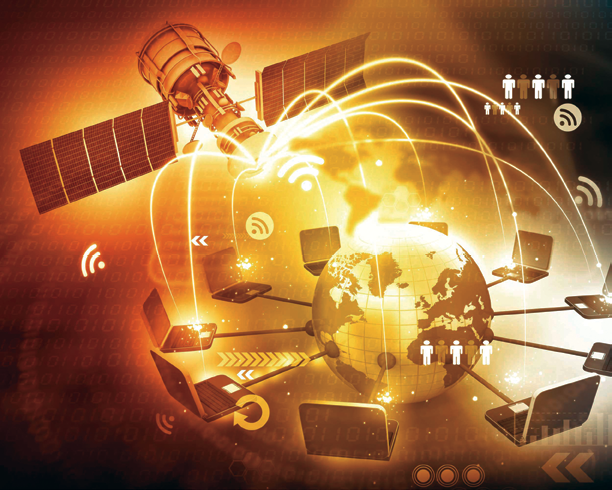 The SATCOM terminal is the linchpin which will bring together convergence, autonomy, interoperability and scalability within the battle telecom infrastructure. Advantech Wireless Technologies “Engage Class” Satcom Terminal is designed and built based on this overall Convergence concept. 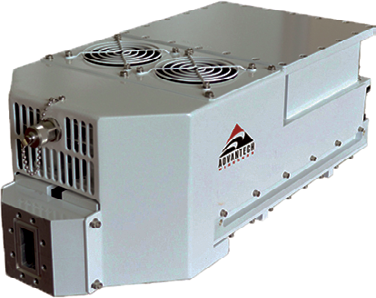 This is a state of the art flyaway SATCOM terminal that reaches and integrates alternative technologies such as Military Grade WiFi and cellular capabilities. One of the major Army complaints was related to the high rate of hardware failure. Active components are prone to failures more than passive ones and amplifiers are part of this chain. 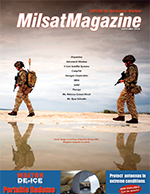 The vast majority of the 50,000 SATCOM terminals that NATO operates are still based on TWT technology. The Engage Class of SATCOM Terminals from Advantech Wireless has adopted an “All GaN Solid State Technology” for the power amplifier. MTBF numbers on the RF part itself have increased from a typical 60,000 hour value to over 200,000 hours due to the use of GaN technology. With reflector size of up to 2.4 meters, the Engage Terminal can accommodate C-, X-, Ku- , or Ka- RF feeds and can guarantee data rates in excess of 50 Mbps. The Engage class of SATCOM terminals from Advantech Wireless. The terminal can generate two independent carriers, all with Transec security incorporated, and it is agnostic to the modem type. Today NATO operates several incompatible VSAT networks, all of them with their own proprietary standards. Joint Interoperability between coalition units is a never reaching target and even within national defense organizations it seems impossible to reach coordination and a common channel between Navy and Air Force, for example. Autonomy, in this case, is hardly possible, as the need for a centralized point of communication is imperative. With the ability to uplink two independent carriers, the Engage Terminal allows a more robust communication link, as well as direct communications to the chain of command as well as simultaneously pier to pier. At IP level the traffic can be split which will drastically decrease the risk of communication eavesdropping and decryption. The terminal can accommodate either SCPC or TDMA modem technology and can fit within any existing operating network either as an add on terminal or as a bridge to another incompatible SATCOM operating network. In order to find the satellite, and to synchronize within a TDMA network, both the antenna and the VSAT modem need accurate GPS information. GPS information will provide accurate location, which defines the time delay to enter within a TDMA time slot, as well as look up angles for the antenna pointing. Jamming the GPS signal, with relatively low cost off the shelf hardware, has proven to be highly efficient in disrupting the SATCOM links. Without GPS location, the antenna controller does not know where to point and the VSAT terminal has difficulty joining the network. C-band outdoor GaN SSPA from Advantech Wireless. The Engage Class of antennas has an optional built in Anti-GPS Jamming capability and can cancel several GPS jammers that are within close proximity. Once the antenna has detected GPS jamming, it will actively generate nulling signals and cancel them. Today, this is typically more of a mandatory feature the risk of not being able to setup the transmission link is to be avoided. On these flyaway terminals, we are used to deploying heavy duty ruggedized laptops and tablets. These PCs contain a lot of critical intelligence data and should not be left in the field unattended, in case the Satcom terminal is damaged or the position needs to be abandoned. Being ruggedized by design, they are difficult to destroy and able to avoid data extraction by unfriendly forces. Being heavy, they are also difficult to hand carry and the soldier will always face the dilemma of carrying enough water and supplies to allow few days survival or to carry a heavy laptop. This is one of those dilemmas that nobody wants to be faced with. 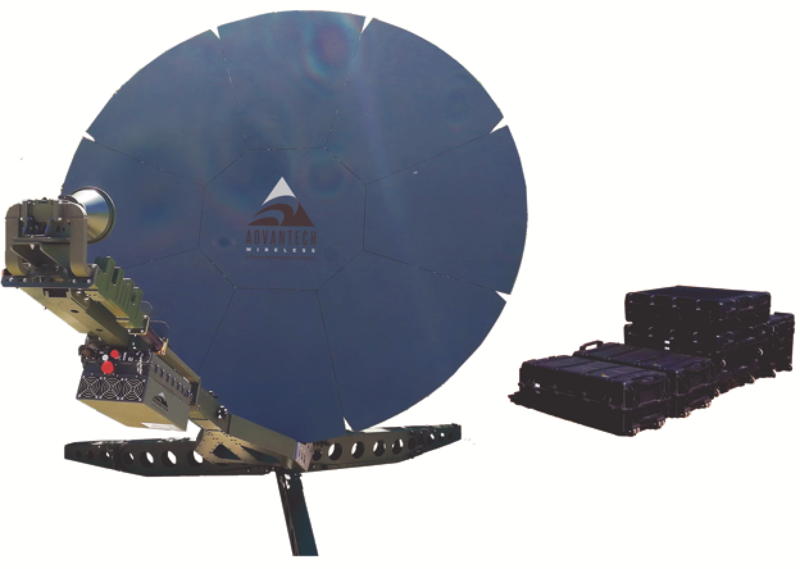 The Engage Class antennas are moving into ultralight, credit card size PC technology. These plug-in PCs weigh only a few grams and can be plugged into miniature communication consoles that are designed to be carried by soldiers or as part of the flyaway terminal, or in the vehicle mount. These antennas consume a fraction of energy, typically 5W, which is a critical element in the field. A typical console can accommodate several plug in PCs, each of them running independent tasks. One PC can run the operating system, one can do encryption, one video encoding, one act as a data router, and so on. They can all be removed and reinserted in the field, so no critical data is left abandoned. As an add on function, the Engage Class terminal can also generate an independent local cellular area, called the ARTEMIS LTE Platform. The ARTEMIS’ objective is to deliver secure, high performance, instant communication capabilities to voice, data, text and chat. The network, once connected over the SATCOM backbone to a cellular provider, or to an identical point of presence, has the option to integrate different radio types (as used by local police, firefighters, medical services) and make them interoperable. This feature is critical in operations in heavy populated urban areas. 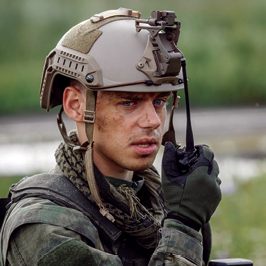 An optional Military Grade Radio network can also be deployed that is designed to be resilient in heavy cellular and WiFi use areas where typical cellular access is denied. This specialized Radio network is able to provide high data throughput, integrates easily with any existing city surveillance cameras and operates in underground networks. Drones can be integrated with these radios and they are setup to provide either simple video streams or network extensions. Locating people in underground areas, where GPS networks are not available, is also an option on the Engage Terminal. It is a function that was designed to serve primarily in search and rescue situations. Dedicated hardware can extend the GPS presence in tunnels, mines, or underground metro networks. Based on this GPS extension, which is perfectly synchronized with the real external GPS network, a user can find his own location using either a simple Google Map application on his cell phone or a government user can be located with a Tetra phone. Once again, this information is captured by the Engage SATCOM terminal and directed to a Tetra point of command center, or to a cellular provider, that can correctly locate the user in distress. Geolocation maps for underground areas can be developed and ported into user PCs for accurate position finding. To conclude, the future communication terminal, and the future tactical network, needs to be able to operate in a totally different environment. We need to be able to extend the cellular network, while at the same time avoiding cellular congestion. We need to be aware of our surroundings and have access to video feeds. We need to be able to reach people in GPS denied environments — and we need to be able to make incompatible networks talk one with each other. These are the fundamentals on which the Engage Class Satcom Terminal was designed and on which it will evolve. Mr. Cristi Damian joined Advantech Wireless in 1995 where he held various positions in Operations, Manufacturing, Sales, Engineering and Customer Support. Prior to Advantech Wireless, he acquired experience as a hardware engineer in various high-tech companies. Mr. Damian holds a Master’s degree in Electrical Engineering from Concordia University.